What if you never had to worry about tweezing, waxing, shaving or enduring long tedious hours of electrolysis again! At Lionsgate Laser Clinic, we offer laser hair removal in both Vancouver and the SEA to SKY corridor. Thanks to our state of the art equipment, both men and women can now eliminate unwanted facial and body hair rapidly, safely and effectively. With the revolutionary LightSheer™ technology, you can now make your dreams a reality! Ideal for all skin types, the LightSheer™ laser for hair removal is a diode laser, a recognized ‘Gold Standard’ in the industry. 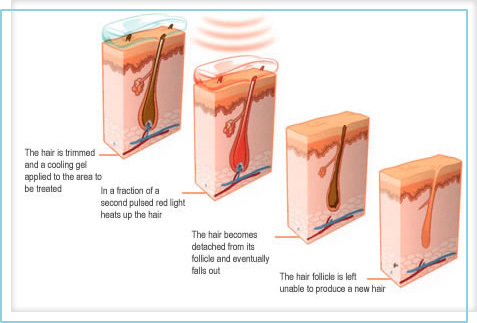 The LightSheer™ system was specifically designed from the ground up for effective laser hair removal. It also has a patented chill tip technology providing continuous parallel cooling of the epidermis during treatment to allow maximum safety and comfort for you. We also offer additional Zimmer cooling so you can enjoy result-oriented treatment with comfort and pain-free cooling. The Lionsgate Laser Clinic offers a free 30 minute consultation to help you explore options in laser hair removal. Book your no-obligation consultation with Sally by sending us an email or calling our clinic today! Laser Hair Removal: Where Do We Begin? Preparation: Before you begin, it is important to understand that laser is only effective when hair is in the early growing phase (anagen cycle). Before the treatment, all surface hair is removed by shaving or trimming to prevent damage to your skin. How the laser works: The laser emits a near-infrared laser light that is absorbed by the melanin pigment in hair follicles. The laser system generates enough heat in the hair follicle and shaft to diffuse the stem cell and matrix targets and prevent those particular hair follicles from re-growing. 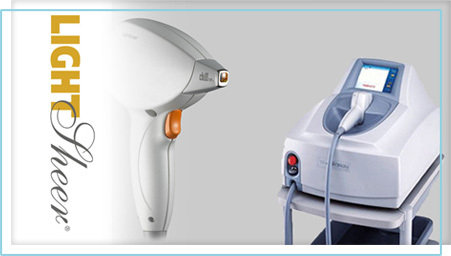 Laser hair removal generally works best for areas where the hair is dark and/or coarse. Laser Hair Removal Treatment: How Does It Work? When you first walk into our clinic, we discuss your medical history and check for a few red flags. We then brief you on the laser treatment and explain how our state of the art equipment works in accordance with hair growth cycles. This process is meant to help us determine whether or not laser treatment is the right option for your skin type. After the patch test, Sally will assess the area for results and provide an exact price for your particular scenario. We are also happy to answer any questions and concerns you may have about the process. If your patch test results are responsive to the laser treatment, we then move to the actual treatment in multiple sessions. Why Choose Our Treatment Methods? At any one time, only about 15-20% of your hair is in anagen phase and that is why we offer packages of 5 treatment sessions, paying as you go. Typically, 90% of the clients lose over 90% of their hair before the package expires! Anything after that is considered ‘maintenance’ and requires significantly less effort to maintain your hairless skin. You can pay for just 3 sessions and get 2 free! We offer maintenance sittings for 50% off the regular price per session or less! Pay as you go with our most popular treatment options! Popular treatment areas for women include under arms, legs, the bikini area, especially Brazilian bikini, as well as facial areas. For men, we offer laser treatment for facial areas, backs, chests, and buttocks to mention a few. We treat all body parts except eyebrows as they are located close to the eyes and are not safe for laser exposure. Q: What do laser removal treatment sessions feel like? A: Most describe the sensation being similar to the zap of an elastic band. Although the intensity of the sensation varies with people, most consider it to be tolerable. For more sensitive areas, a numbing cream can be applied prior to treatment. We can discuss these details of treatment when you consult with Sally. Q: What steps can I for preparation before treatment? A: If your skin is to be exposed to laser, we advise you to avoid or minimize exposure to the sun. Hair follicles can then be targeted more aggressively when the skin is not tanned. It is important to have hair follicles intact. This means no waxing, tweezing, threading or electrolysis for 2-4 weeks prior to appointments. Sally will give you tips at consultation on how you can manage your body hair before, during and after your first couple of laser treatments. You will probably find that hair growth becomes minimal in between appointments, turning finer and lighter after just a few sessions. Q: What can I expect post laser treatment sessions? A: After each session, your skin may initially look hot, red, and sometimes bumpy. However, this is a good sign as it indicates the efficacy of the laser. The redness is completely normal and temporary, depending on your skin type. In some people, it disappears in a matter of minutes while in others, it takes a few days. We recommend that you protect freshly treated skin from sun exposure with a good sunblock (SPF 30 or higher), both before and after treatment. Caution should be taken to prevent your skin from being exposed to additional heat. Avoid intense exercise immediately after treatment or hot tubs, saunas etc., as they could irritate treatment area. Alternatively, they could also induce heat for a day or two after treatment. Moisturize the area under treatment with a gentle cream, cleansing with mild soap as recommended by Sally. Q: How many laser treatment sessions should I expect? A: Body hair tends to grow in cycles. As the laser targets the melanin in the hair follicle, it only makes sense to target hair when there is the most melanin in it i.e. the anagen phase or active growing phase. Scientific studies have proved that there is only about 15-20% of hair in early growing cycles at any one time. That’s why we offer packages of 5 treatment sessions at the Lionsgate Laser Clinic. People who shave on a daily basis or have less melanin in their hair may need a couple of extra ‘touch- ups’. Q: How much time should I take off between appointments? A: The distance between two appointments is dependent on your unique skin type. But as a general rule of thumb, treatments of the head and neck are scheduled every four to six weeks and the body every six to eight weeks. Q: How can I manage my hair between appointments? A: You actually may not have that much hair to manage! If necessary, trimming is the most effective way to manage and minimize growth between appointments. Q: Are the laser removal results lasting? A: LightSheer™ laser is FDA approved for hair removal and permanent reduction on virtually all skin types including tanned skin. 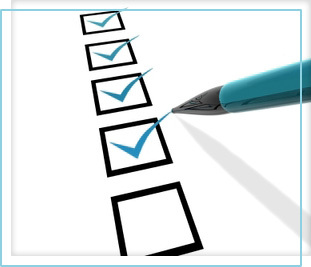 To achieve satisfactory long term clearance, 4 to 6 treatment sessions are typically required. Therefore, with our pricing structure, we make laser treatments affordable enough to achieve long term results. Q: Does laser removal create ingrown hair? A: On the contrary, the LightSheer™ actually treats ingrown hairs beautifully and we get many clients coming in just to treat this very problem! Q: Is LightSheer™ effective on all skin colors? A: LightSheer™ laser was specifically designed to treat all types and colors of skin. For skin with darker tones, appropriate fluences are set lower but with the special longer pulse widths available with this particular technology, hair can be targeted safely without epidermal injury. Using the right treatment parameters, people of multiple skin types can enjoy long term hair removal with the LightSheer™ Diode system. Q: Is LightSheer™ effective on tanned skin? A: Contrary to what you may believe, tanned skin is actually a sign of damage. When your skin receives damage, it synthesizes tan or color that is melanin deposits in the skin. As the laser works more intensely on melanin, we are very careful when treating this kind of skin and explain to you beforehand that you may need additional treatment sessions. From the point of safety and expense, it is more effective to enter into treatment without a tan. Q: Is LightSheer™ Diode approved by FDA? A: LightSheer™ laser was first developed in the year 1994 while the first studies for hair removal were initiated in July 1996. FDA cleared LightSheer™ for treatment in the December of 1997. Long term hair reduction was granted in April 1999 when it provided a 50% permanent reduction in hair growth after just 3 treatments in a study of 3,000 participants. Q: Why use LightSheer™ instead of methods I have used for a long time? A: Laser treatment gives you one advantage traditional hair removal methods do not – the freedom of never having to shave or wax again! LightSheer™ Diode design provides greater comfort in treatment, minimizes risks of infection, and offers speed as well as accuracy. The Chill Tip and the Zimmer cooling make treatments relatively comfortable and less irritating than most standard methods. Since the procedure remains non-invasive i.e. without needle insertion, risk of bacterial infection is minimal. The LightSheer™ is quick, safe, and effective, large areas of the body can be treated at once. The LightSheer™ is inclusive of precise equipment which can be tuned to treat hair follicles only, affecting surrounding skin minimally. Your skin will be smooth and soft and the results are permanent. Q: What advantages does LightSheer™ Diode have over other laser systems? A: After 16 years of industry experience and having met many people who have had treatments with other laser machines, Sally believes LightSheer™ to be far superior and effective. Other ‘laser treatments’ are often not considered as true lasers but simply intense pulse light, which are not the same and do not offer the long term permanency of LightSheer™ Diode lasers. LightSheer™ Diode was designed especially for laser removal of body hair, and is equipped with the appropriate fluence, wavelength, pulse width as well as an active cooling system for the epidermis, including the Chill Tip to maximize results of laser hair removal treatment. It is also important to find the right experienced technician to put all this together to optimize laser treatments based on your skin and hair type.